What is a normal rate of staff turnover? Around 70%, in the case of one charity care home in Scotland that supports older people, many with mental health problems and alcohol addictions – a figure which is not that much higher than the average for the care industry. 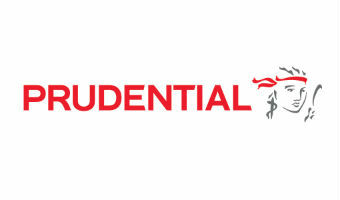 Dramatically improving rates of staff retention was one of two challenges we set for teams of future leaders at M&GPrudential over a six-month period as part of their LEaD talent development programme. Putting their leadership skills to the test and exposing them to customer issues such as the ageing population and mental health, the projects focused on pressing, strategic issues faced by the charities, whilst giving the teams scope to feel ownership by taking initiative and being creative. In a context that was outside of the corporate norm, participants influenced without authority, dealt with change, tackled ambiguity – all of which helped them top stretch and embed their leadership capabilities. In a post-project review they reflected on what they’d learnt and brought back to their day to day roles: operating outside of the comfort zone; uncovering layers to get to the heart of an issue; communicating with presence; and learning how to be brave when challenged and how to challenge others in turn. So what happened to that high staff turnover rate at the care home? By the end of the project it had dropped to 48% – better than the care industry average.